William Melvin Hicks was a jack of all trades. He was a musician, comedian, satirist, and social critic. But what made him stand head and shoulders above his peers was the fact that he mastered every form of art he was good at. He liked to amuse people with his shocking sense of humor, and while very few people can pull this off, he had a lot flair and pizzazz. His fans loved him for it. After all, he’s one of the few men who made the great David Letterman do one that one thing he hardly does – apologize. Pancreatic cancer claimed this man’s life but if he were alive today, we can only imagine what he has to say about the politicians that we have. He’ll surely put them in their place with his unique brand of humor. More importantly, he’ll make them blush because the man certainly has the gift of gab. He may not be with us right now, but we’re sure he’s making the angels laugh at his witty one-liners and shocking truths. I think we just heard smokers rejoice at this line. Makes you think twice about telling the man next to you kill his cigarette! 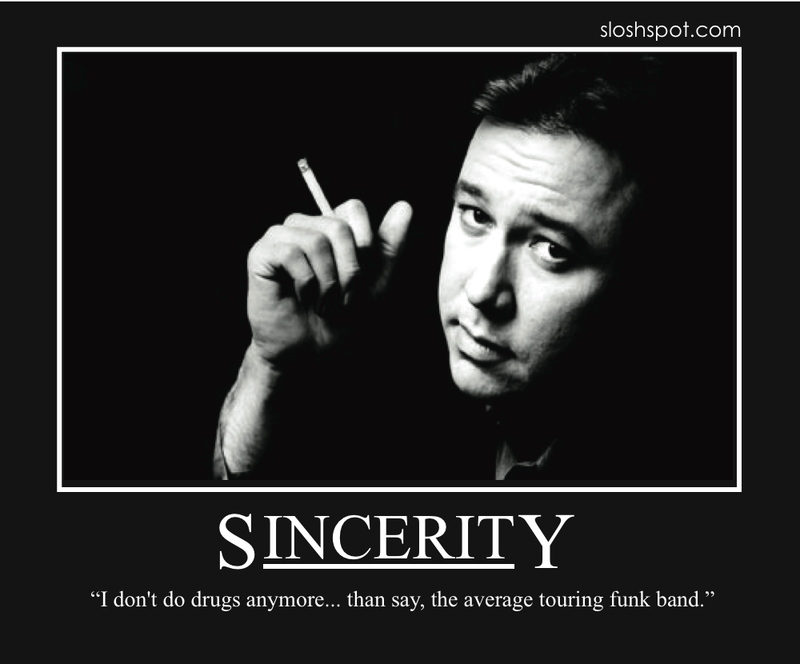 Hey, at least he was honest, and he certainly wasn’t the biggest addict in the bunch. 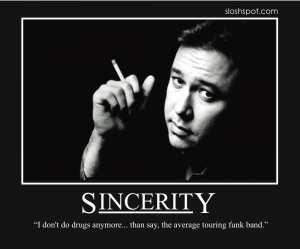 That second one isn’t a photo of Bill Hicks. 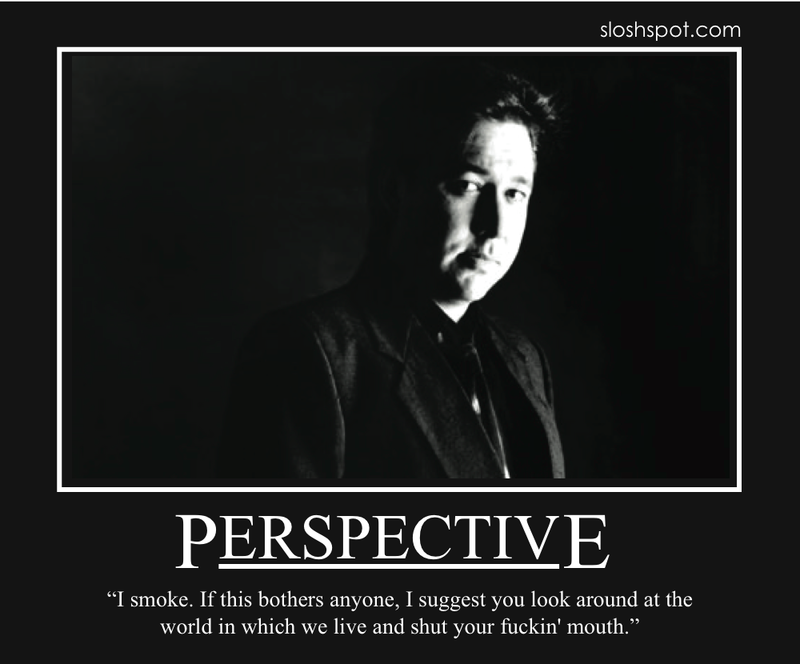 It’s Chas Early, who played Bill in the one man-show “Bill Hicks: Slight Return” in 2005.